Will Rowdy learn to value his own abilities in time to save his friend and what's so great about being a raccoon anyway - Rowdy Raccoon is about to find out. Raccoons weren't meant to fly, but you can't convince Rowdy of that. When he meets Scissor, the incomparable Scissor-Tailed Flycatcher, Rowdy is left to wonder why raccoons weren't created to be special, too. 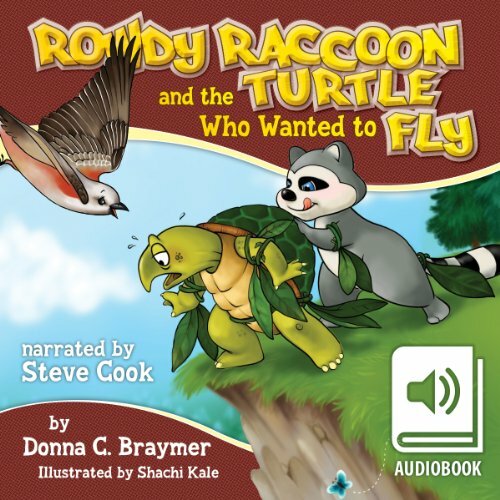 The loveable critter enlists the help of his friend Tommy Turtle and hatches a dangerous plan to become more like the bird. But when disaster strikes, will Rowdy discover his own unique gifts, and will his talents be enough to save his desperate friend undefined.